When Elsa and Anna were children, they loved to play together. Elsa would use her magical powers to fill the halls of their castle with snow, and the two would slide and jump through the snow. They also created a snowman they called 'Olaf', who liked warm hugs. During one of their play times, Elsa accidentally hurts Anna, and Elsa is then forced to hide her true powers while all memory of the incident, and of Elsa's power, is removed from Anna's head. Years after that incident, Elsa's ice powers are revealed during her coronation and she flees from Arendelle. Along the way, and free to use her power once more, she taps into the childhood memories and brings Olaf to life. Anna and Kristoff encounter Olaf near a frozen lake. Shortly after, Sora is amazed to meet the walking talking snowman. 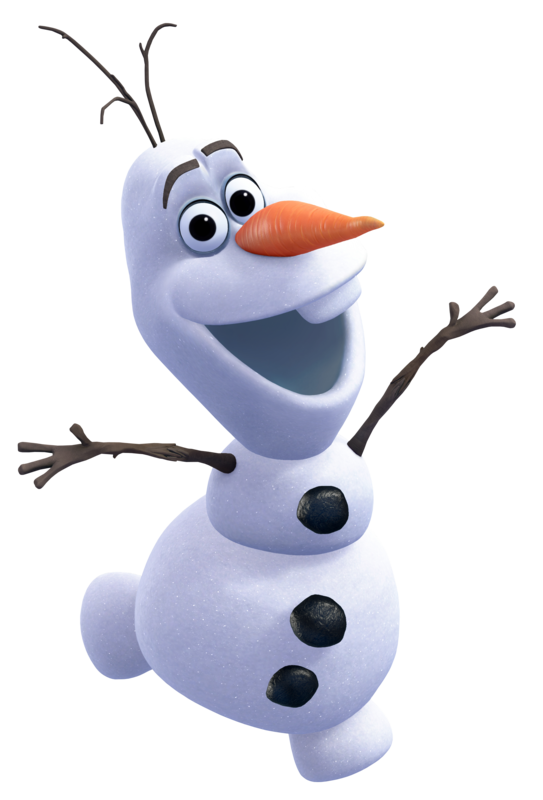 Anna wonders if Sora is a friend of Olaf's, but the snowman is quick to reveal he doesn't know anyone "blue, green, or who's hair is oddly spikey".